You are here: Home » SWEA Toronto’s Annual Christmas Festival 2014! 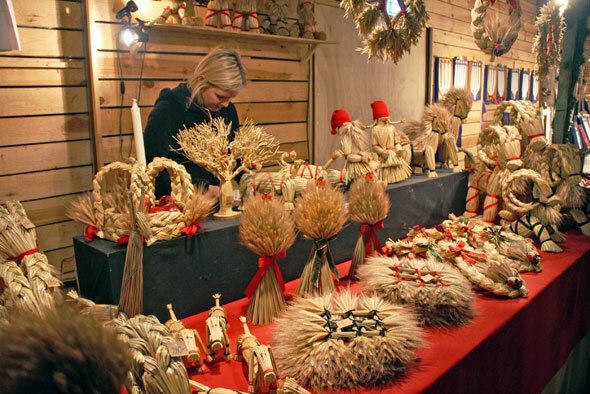 The annual SWEA Swedish Christmas Market at the Harbourfront in Toronto is happening this month, November 22-23rd Saturday 11-5pm and Sunday 11-4pm. 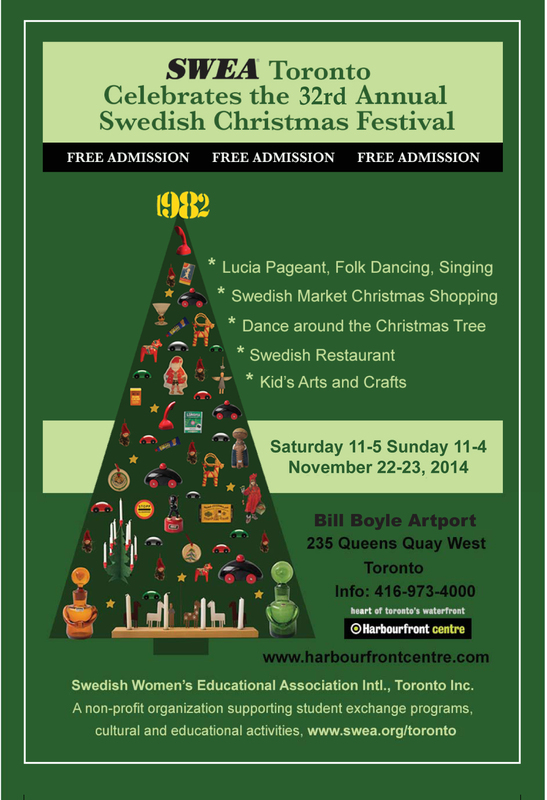 There will be tons of Swedish food, design, Christmas decorations, Swedish folks and activities for kids. Come and experience the Lucia pageant, folk dancers and get merry with some good glögg! IF YOU’D LIKE TO VOLUNTEER, PLEASE EMAIL julmarknaden@sweatoronto.org or message me here. See ya there! Unfortunately, you could only buy them at the SWEA Christmas Fair that happened Nov. 22-23rd. They go quickly, so you need to go early to purchase them. We only have the Christmas festival once per year.